Conveniently sized to fit in most vehicle cup holders, it's the Wonder Woman Comic Panel Insulated White Travel Mug with Handle! This Wonder Woman mug can hold up to 15 ounces of liquid and keeps drinks hot or cold. 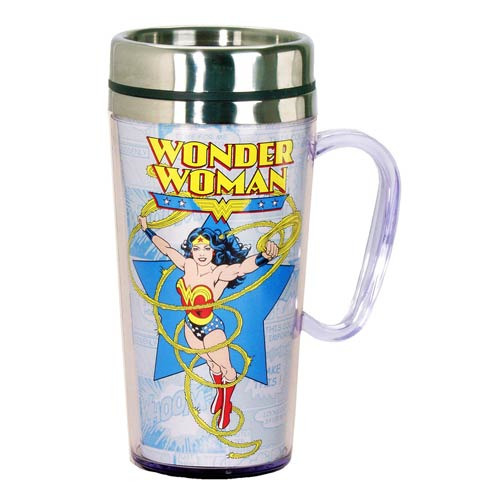 The Wonder Woman Comic Panel Insulated White Travel Mug with Handle is acrylic with a stainless steel inner wall. Hand wash only. Not dishwasher safe.